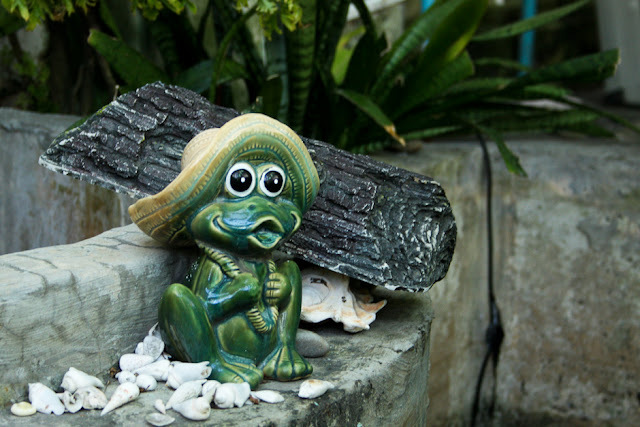 A ceramic guardian frog looking over a friend's aquarium. I remember most of us had pets when we grew up in the late 80s. But now, the city is so congested that there is no more room for indoor hobbies. Every available space in our home is being turned in to a small apartment or flat. Miss those time when we had room to run around and play soccer on the streets!